A gridded city presuppose a high degree of social organization. They get planned and built only because there existed a political will to do so. 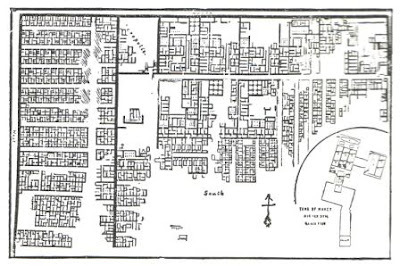 The workers' town of Kahun in Ancient Eygypt, came with the construction of the pyramids, a monument to the power and wealth at the disposal of the Pharoahs that still astonishes us to this day. 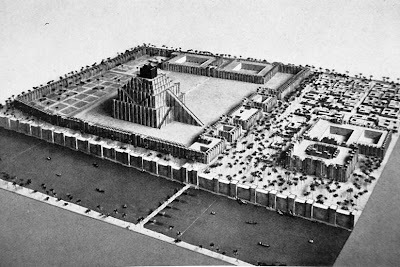 Babylon and other cities of the Mesopotamia, were also the products of a wealthy civilization with a highly centralized concentration of power, as were the Chinese rulers who built Chang ‘an. 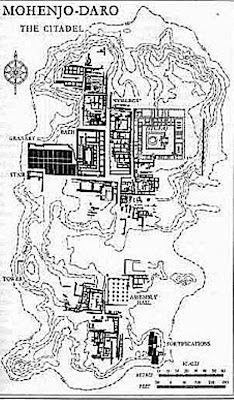 The city described in this post may not be so ancient, but the the rules of Imperial town-planning were considerably older. The Chang'an of the Tang period is one of earlier cities lost in China's history of cities built , destroyed and rebuilt . In the area around Chang'an is the capital-city of Qin Shi Huang, China's first emperor, and is also where he is buried along with his army life-size terracotta soldiers. 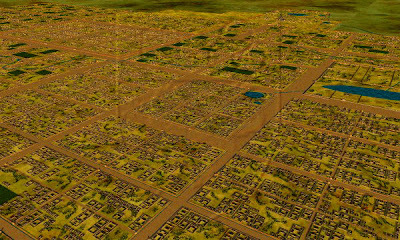 But there is an alternative possibility: Mohenjo Daro and other Harrappan cities reveal less differences in the size of largest and smallest houses that survive. This seems to indicate a more egalitarian society. In the Greek city of Miletus on the coast of Asia Minor, we find what is in many respects a modern city with a public architecture that includes places of worship, recreation and democratic governance. Ancient Greece also provide us with the first recorded town-planner – Hippodamus of Miletus. He is credited the planning of Piraeus (Athen's port), Rhodes and Thurii (in Italy). Hippodamus did not invent the grid; that honour belongs to the surveyors who mastered geometry. Nevertheless, Hippodamus is perhaps the first link applied geometry to an anti-totalitarian ideal. At the base of his theory is a view of society. 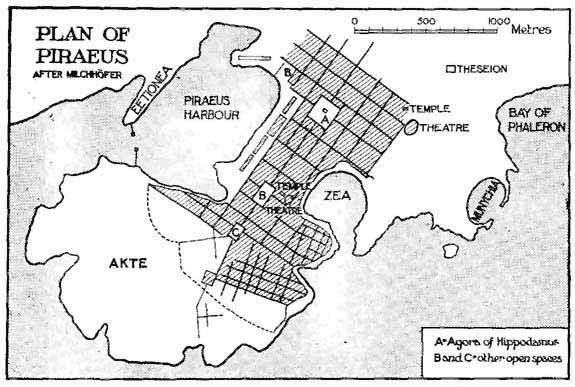 The cities associated with Hippodamus display an integrated design beyond the simple use of zoning, not usually evident in other cities; different districts were designated for specific purposes, such as commercial districts, residential districts, public and religious zones, and in the case of ports, harbour areas. Even within districts there is evidence for an integrated plan, such as the way public buildings were grouped together. We learn much about Hippodomus from Aristotle’s writings on him. Aristotle presents him as an eccentric man and a social and political theorist who speculated about the nature of the ideal city. According to Aristotle, Hippodamian ideas on both the nature of the ideal city-state and its layout were based on the division the population and its territory. Public buildings were grouped in a clear functional relationship to each other and clearly defined and fully integrated into the street system. 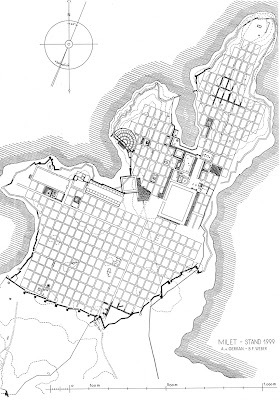 The layout of his cities also reveal a desire for monumentality - the layout of Rhodes in particular. Its design had strong visual effect by the extensive use of terracing and landscaping. Hippodamus planned his ideal city for 10,000 inhabitants and he saw the gridiron plan as a bearer of democracy. The study of mathematics and geometry may be neutral, but town-planning – the application of geometry to the design of settlements – cannot be free of political values.